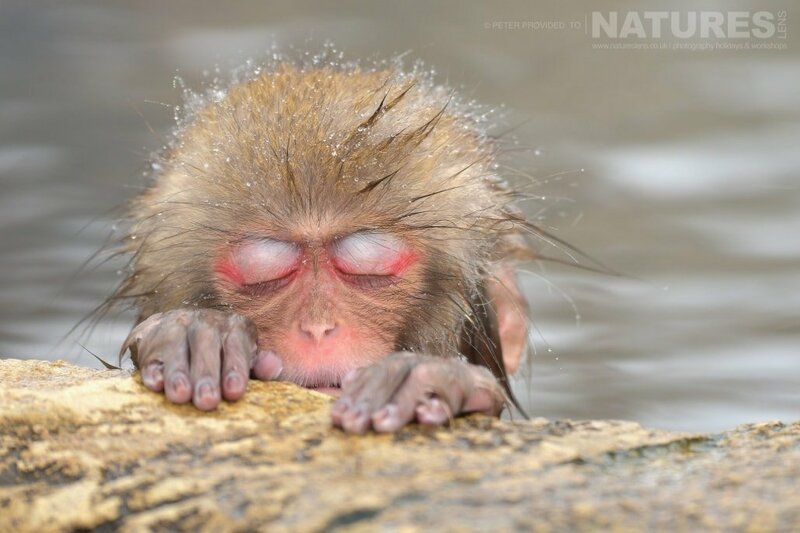 Peter sent us so many stunning images taken on our Winter Wildlife of Japan Photography Holiday that the only way we could do them justice was to publish two blog posts. I especially love this image of a red fox with the slightly cocked head, exuding charm & curiosity all at the same time. 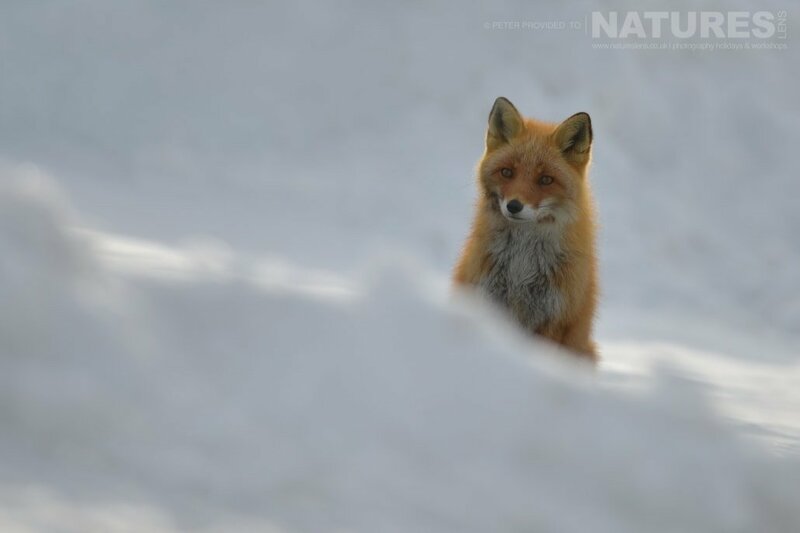 The red foxes of Hokkaido are not particularly shy of people. In fact, they are curious & often stare at or even approach anything or anyone new in their surroundings. 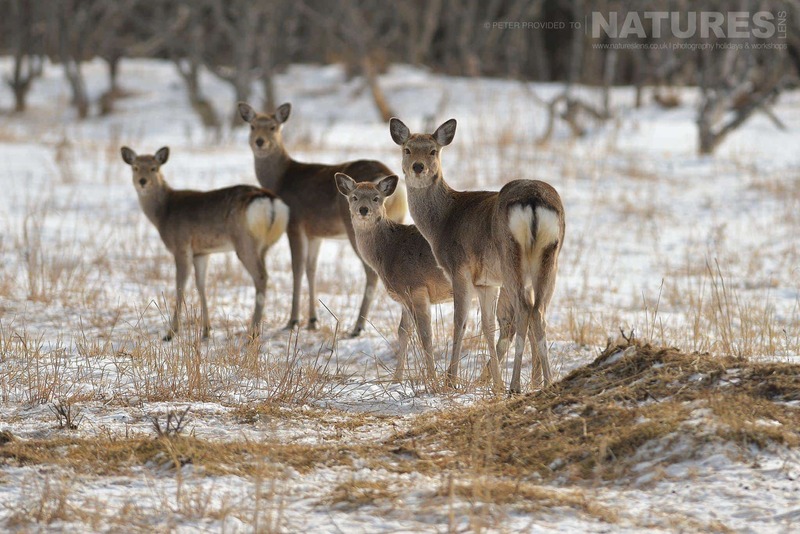 Peter also got some fantastic opportunities with the Sika deer, also known as Japanese deer. 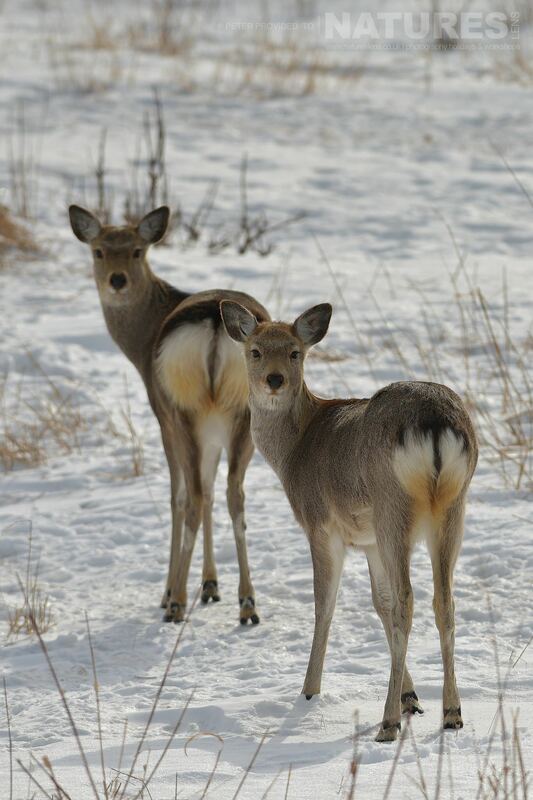 The Sika deer is considered sacred because of their significance in the ancient Shinto religion. 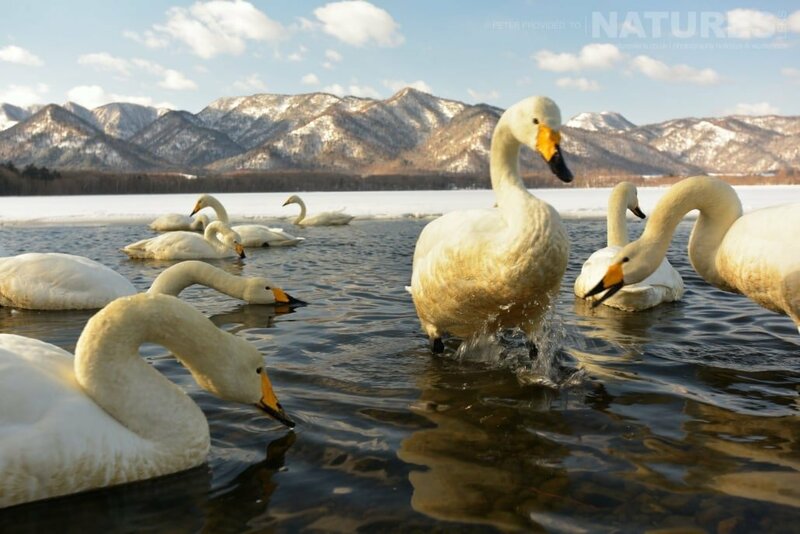 They can be found all over Japan with the largest of the species living on Hokkaido. 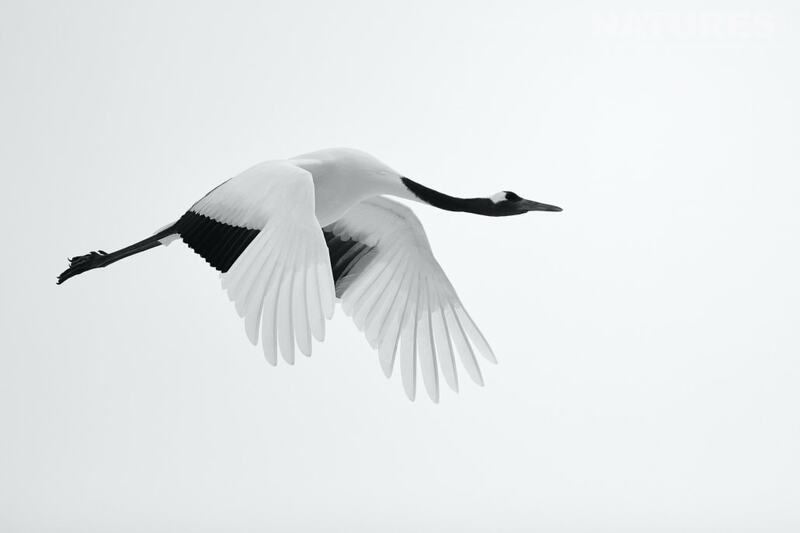 With 2 days at the international crane centre, Peter found time to experiment with a bit of monochrome photography. 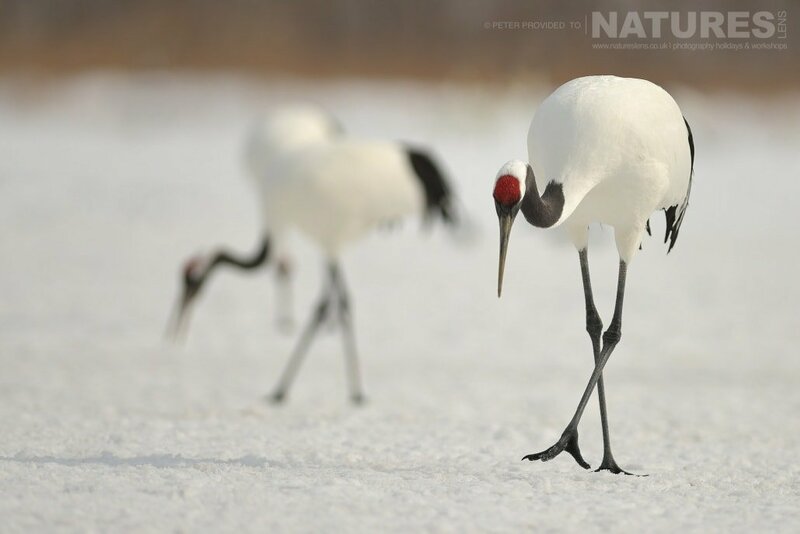 The bark of a red crowned crane is dramatic & haunting at the same time. 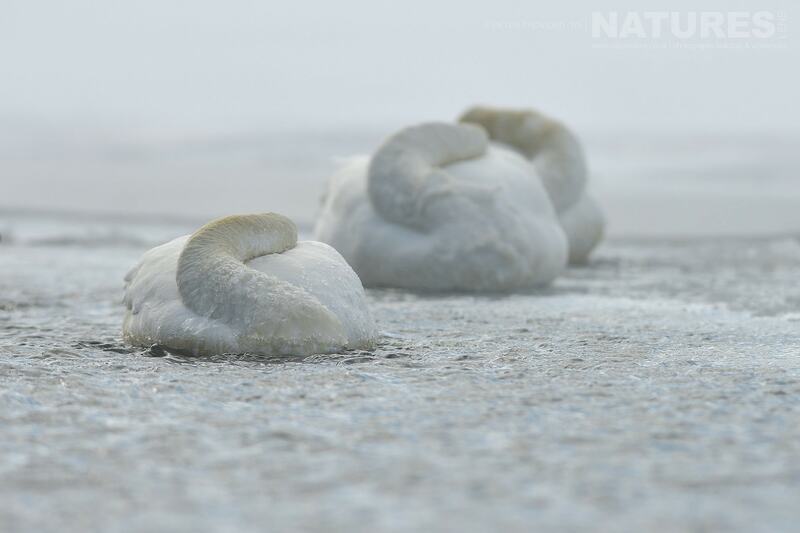 All part of their ritual to renew their bond with each other. 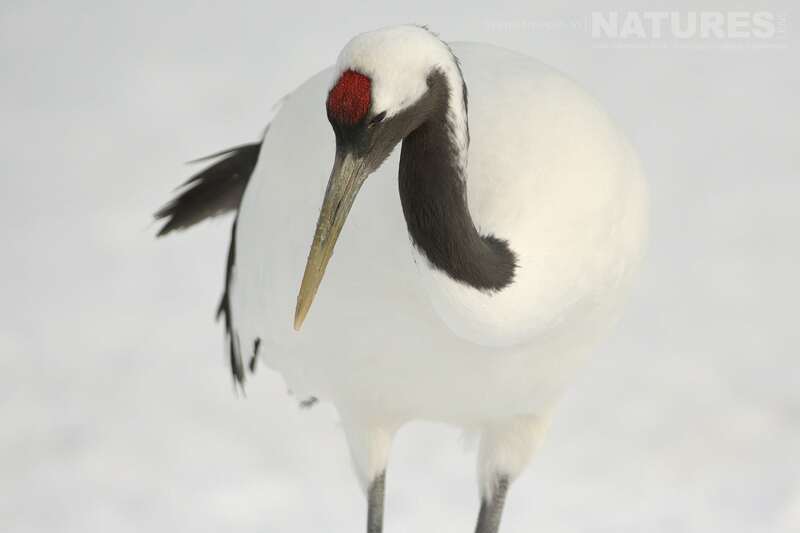 I love how Peter has captured the red crown on this crane. 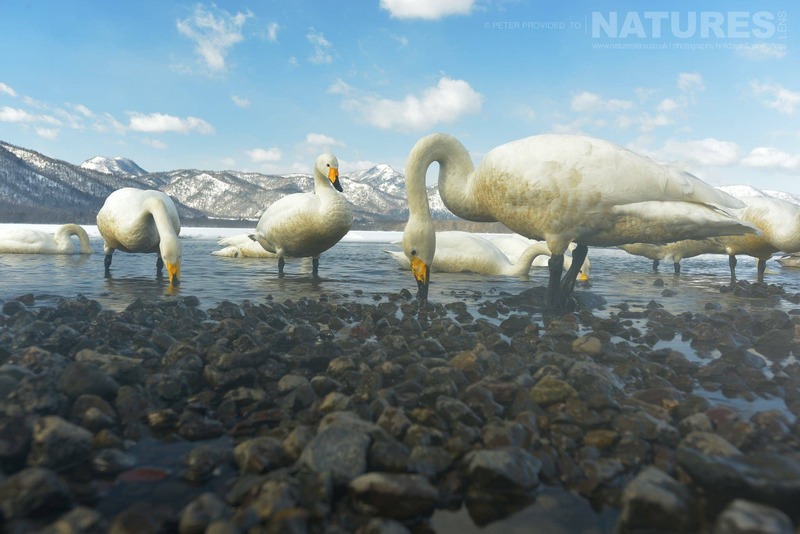 When travelling to somewhere like Japan, it is never easy deciding what lenses to take. 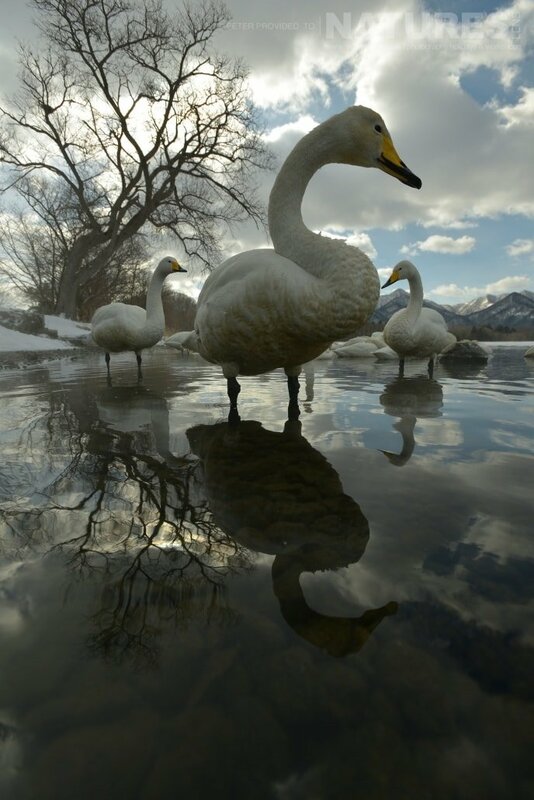 But it’s always worth packing a wide angle lens as you never know what opportunities may present themselves. 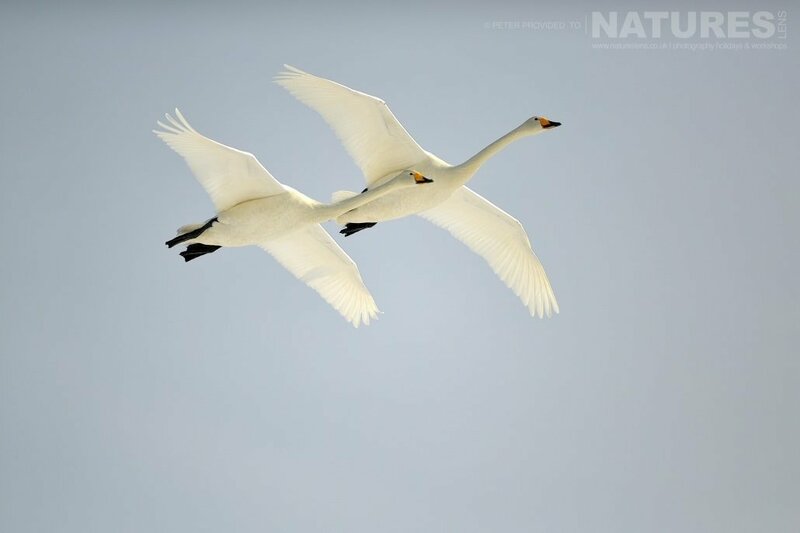 The whooper swans proved to be a great subject for wide angle shots. 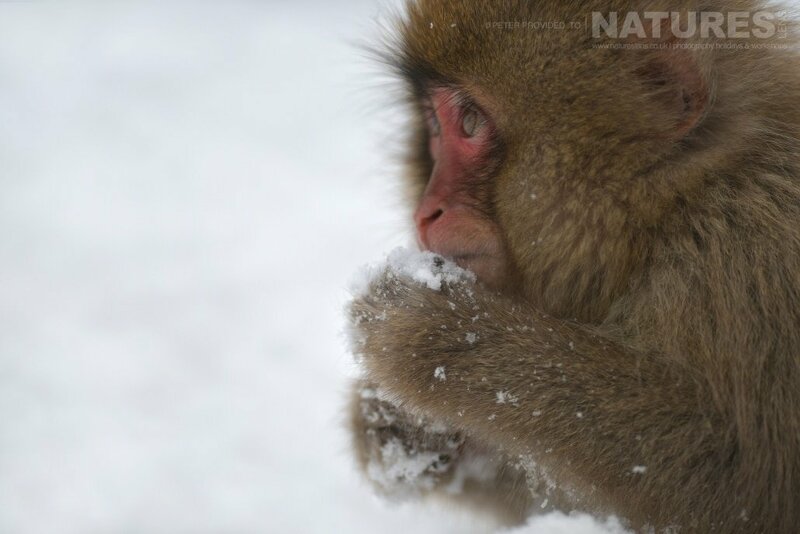 The Snow Monkeys are the main reason why most wildlife photographers visit Japan. So photogenic & full of character. I never tire of seeing images of them & the antics they get up to. Part 2 of Peter’s blog post concentrates on the spectacular sea eagles at Rausu! 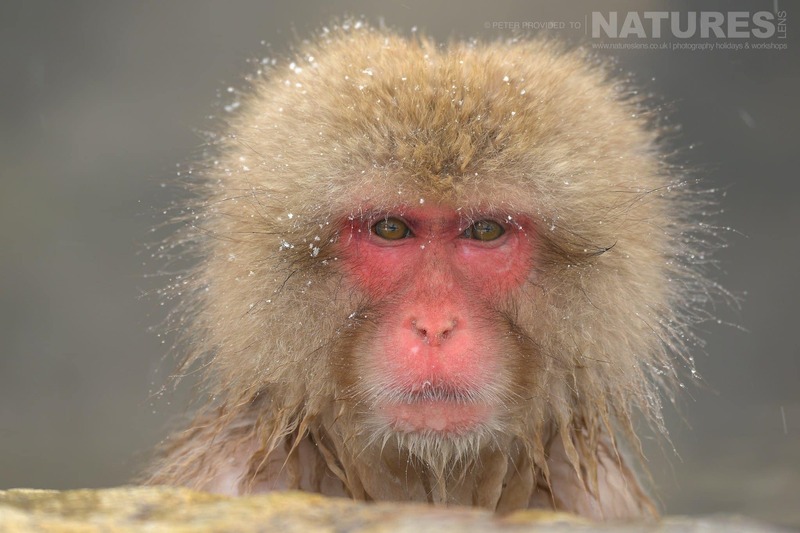 To photograph the charismatic winter wildlife of Japan for yourself, join David Miles & Ian Roberts, members of the NaturesLens guiding team, in Japan during February 2019 for a trip lasting 13 nights. 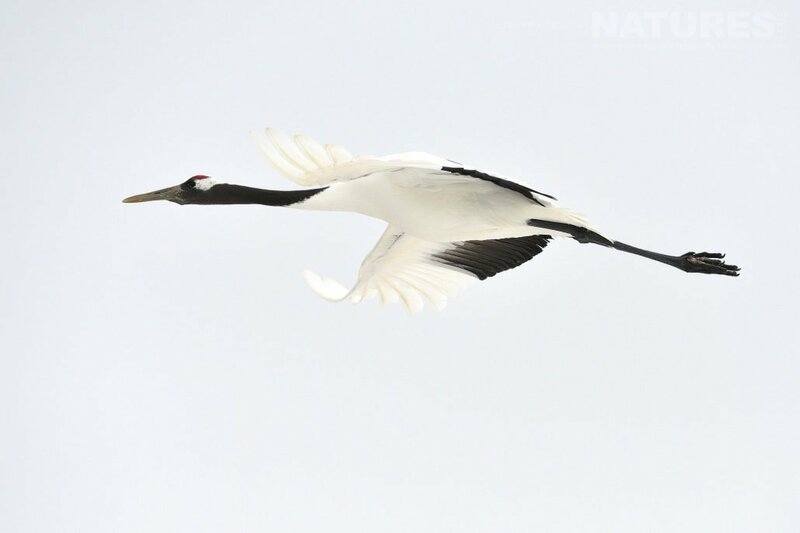 This photography holiday will offer you the opportunity to capture images of the red-crowned crane, snow monkey, steller’s sea eagle, white tailed sea eagle, whooper swan, plus more. The NaturesLens Winter Wildlife of Japan Photography Holiday is offered on a half board, non-shared room basis, & normally costs £5249 per participant, but there are several early-bird places available priced at £4999. 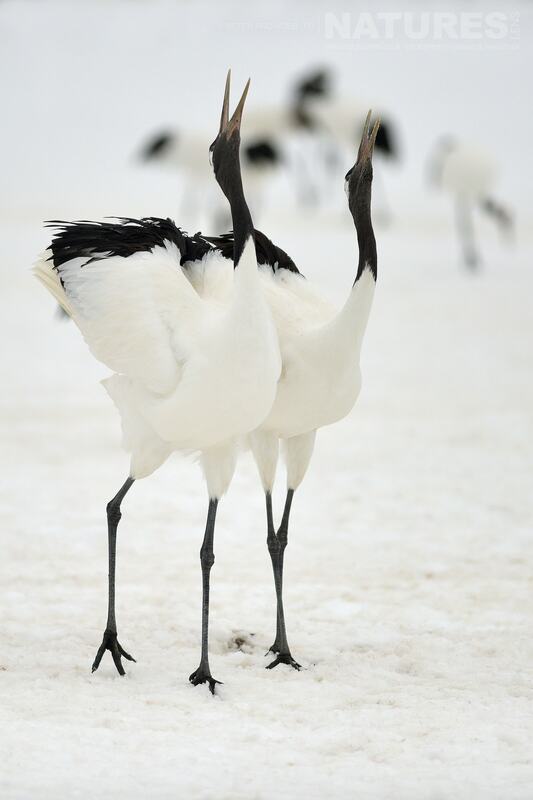 This entry was posted in client images, photography holidays, worldwide tours and tagged crane, fox, hokkaido, japan, sika deer, snow monkey, swan. Whatever your query regarding our photography holiday, Part 1 of Peter’s graphical review of our Winter Wildlife of Japan, please fill out your details below & we will get back to you.